Malaysia Design Archive is a project to map the development of graphic design in Malaysia from the period before independence(1957) until now. It is a space to trace and document Malaysian ‘endangered’ design legacy, to preserve our historical past, as well as to create a resource of Malaysian art and design work. This is also another way to protect our history, provide us with space to question its meaning, recurring imagery, icons used, ideas, and how it is connected to the our political landscape at the time. This project aims to highlight the importance of archiving as a way protect and preserve our own visual history. What is our design history? Do we have one? WHY ARCHIVE OUR VISUAL HISTORY? We live in an increasingly visual world. Each day, we are inundated by streams of images, both new and old. Visual literacy provides us with the tools to understand these cultural phenomena. In a nutshell, the study of visual culture is an image-based inquiry into our cultural history. It is based on the premise that these images and objects embody and reflect the beliefs and values of people who produced and used them. Such study requires critical analysis to help document and illuminate the contexts – social, economic, political, religious – in which these visual materials are produced and used. The study of our visual history is therefore an interdisciplinary one. As a platform, MDA brings together writers, philosophers, architects, historians, urban researchers, sociologists, designers, artists in the process of collectively thinking through what this shared visual vocabulary was. Moreover, the history we write is always engaged with the present. How can this knowledge of the past shape our understanding of what is going on around us today? Malaysia’s visual cultural history for the past 200 years is one of the most unique visual ecologies in the world. It is one of the most culturally diverse, and to map and understand this history, we are required to work collaboratively and through interdisciplinary means. WHERE IS THE MDA CENTRE LOCATED? The MDA Centre is located on the third floor of a new creative hub, The Zhongshan Building, which is located in Kampung Attap, Kuala Lumpur. 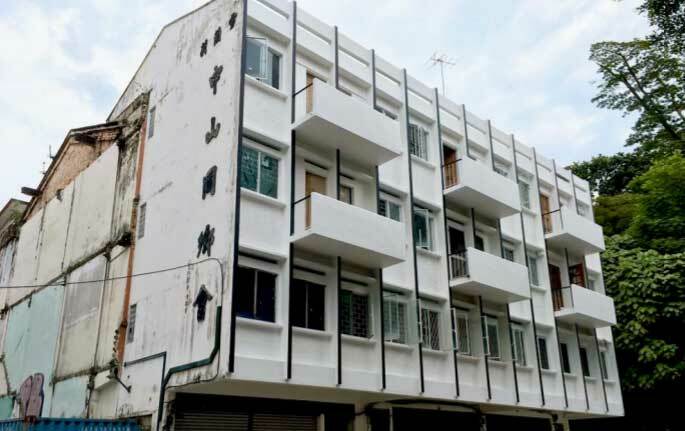 Housed in a newly refurbished 1950’s shop lot, MDA Centre is very close to Kuala Lumpur’s historic core. We will have artists, researchers, music historians, photographer, and other creative/geeky types as neighbours. Being a part of a larger creative community is an important part of our collaborative and interdisciplinary aims. The location is also very close to the monorail and easily accessible by a younger public who rely on public transportation to get around KL. We envision the Centre to be a space where the bulk of our archiving work will take place, alongside public programmes such as talks, reading groups and workshops for children and young adults. We’re excited by both the support and potential of growing this collection into a significant resource that can be accessed and shared to create an open platform for collective critical engagement with visual culture. Be a member of MDA and access our full collection.